Beer Hunting in Bavaria? Skip the Oktoberfest and Munich's "Big Beer" Venues and Follow These Best Practices for an Unforgettable Craft Beer Tour. Back in the day when American beer lovers' palates skewed exclusively to "light, blond and fizzy," a beer tour to Germany consisted of, well, er -- basically, a trip to Munich. Legions of American beer fans would endure long lines at Munich's Wies'n fairgrounds, shed decorum and moderation and binge like frat boys on torrents of pale beer at the Oktoberfest. Then they would spend the rest of their precious vacation time touring Munich's seven megabreweries, where the beer is OK -- but not great, overly flavorful or very diverse. It's logical: if you've graduated from PBR to more flavorful craft brews at home, you're going to want to experience full-flavor craft beer on your trip to Germany, too. Right? If you want more flavor and diversity than the Oktoberfest, Löwenbräu, the Hofbräuhaus or other industrial breweries in Munich have on tap, make a bee line for the back country of Bavaria. It's home to an impressive array of old-school artisanal breweries and new-age, genre-busting craft beer makers who are pushing the envelope. 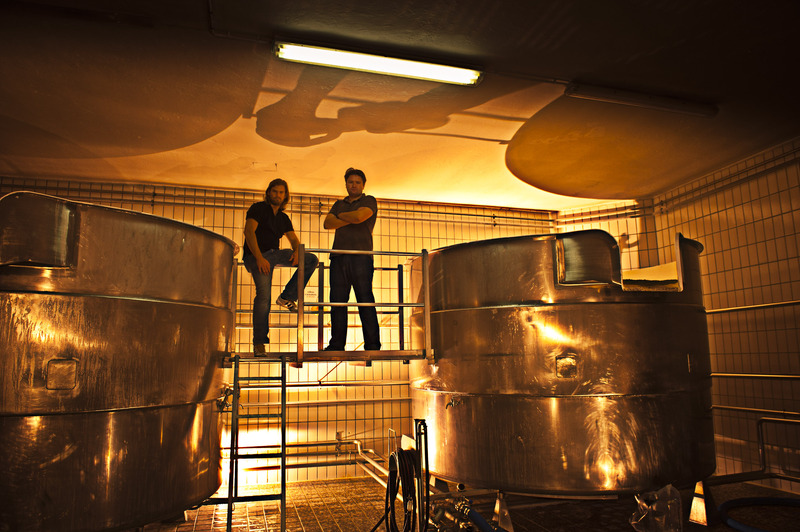 It's where beer is crafted by ardent brewers with stories to tell. 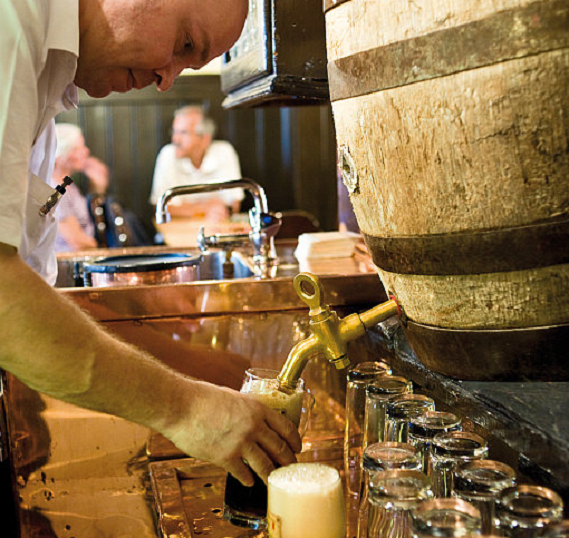 Where beer gives you a sense of place, a feel for history and creates its own ambience. It's also where your brew comes with beer-friendly food, including luscious varieties of wurst, local carp, snout-to-tail specialties, Schäufele and Obatzda, the "crack cocaine" of beer nibbles. Major beer awesomeness awaits in these hidden hotspots if you're willing to venture beyond Munich to look for it. Solo Travel or Group Beer Tour? If you're up to the challenge and want to plan your own beercation, what are your choices? Travel by yourself to breweries in hinterlands and you'll be in for adventure -- and a certain amount of stress. Look at all the options and choose wisely. A solo beer trip with a rental car will give you maximum flexibility. You're master of your fate and can travel wherever you want whenever you want. However this option comes with its own limitations. If you're considering it, know that German drinking-while-driving laws are as iron-fisted as they come. The whole point of a beer trip is to taste as well as tour. If that applies to you, think twice about a craft beer tour that revolves around driving unless you have a designated driver who is willing to abstain. Hiking or biking will also get you from brewery to brewery. You'll focus on breweries within a relatively small area, and you'll have more contact with locals along the way. Since this option limits you to breweries within a radius you can manage on foot or bike, it may not be the choice to make if you're interested in diversity and want to compare styles in various regions of Bavaria. Also, if you're planning a bike tour, keep in mind that Germany's driving-under-the-influence laws also apply to cycling. 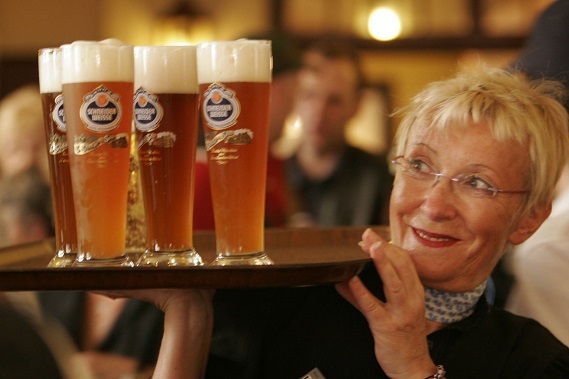 Using public transportation for your Bavarian beer tour is another option. 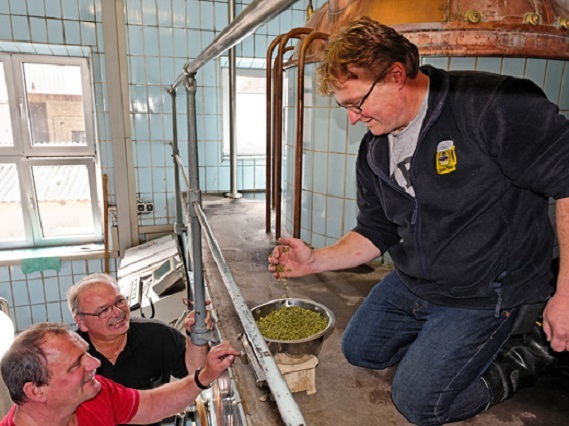 Since many of the small-batch craft breweries and classic family-operated brew houses are in the nooks and crannies of Bavaria, you'll probably be using a mix of train, bus, regional rail, taxi and foot to get from brewery to brewery. Germany's public transportation network is sensational and the experience will fill you with awe and envy. But traveling to distant areas can gobble up a lot of time, so adjust your expectations. Your pilgrimage to that remote, to-die-for 16th-century family brewery in the hinterlands could involve multiple modes of transportation and take the better part of a day. OK. You're a craft beer enthusiast. And you're looking for a trip that will unlock the German beer experience. At the end of the day, what kind of beer tour will deliver what you want? 1. Opt for a multi-day package tour with a small group that includes transportation and a private driver. Save your debut on the Autobahn for another day and forget renting a car. Skip buses, trains, taxis and timetables and opt for a custom small-group beer trip that includes transportation by coach, with a dedicated driver. Traveling with a small group of simpatico people who share your passion for craft beer is epic fun. There's no getting lost. No dealing with maps or a navigation system. You'll glide from one brewery to the next in a coach driven by somebody else, tour and taste without guilt or risk, snooze between stops, and make it back to your hotel in the evening safe and sound. The peace of mind is worth the extra cost of a group tour. 2. Skip Big Beer destinations. Avoiding the Hofbräuhaus, Oktoberfest and other Big Beer venues on a beer tour would have been considered unalloyed treason a few years ago. But hey, people. This is 2015! Tastes are changing and today's craft beer lovers want adventure, diversity, character and full flavor. You'll find them in Munich's craft beer brew houses, which are springing up in the shadow of the city's industrial breweries. But be sure to pick a tour that will also get you beyond Munich to the small towns and villages of Bavaria. You'll be glad you did. An added bonus: Skipping the Oktoberfest and other large tourist-oriented beer destinations will also save time. You'll avoid crowds, won't have to sit in the bus or stand in line with millions of other beer fans. Less stress. Better beer. 3. Don't turn your beer tour into a sprint. If you opt for a group trip rather than traveling by yourself, remember that a good beer tour is not a numbers game or a race. Beware of the last man standing-type of tour where the main goal is to squeeze in as many brewery visits as possible and outdo your travel mates by drinking as much beer as you can. If it feels like a race or a frat party, you're on the wrong beer tour. Pace is important and you'll want a tour without a lot of down time, but be sure to pick one that is designed to allow you a real chance to focus and fully experience the local beer culture. Look for a tour with solid content so you'll come home feeling like you not only drank a lot of great beer, but also learned something. Sure, the experience should be fun, but it should also pique your curiosity and stimulate you with new ideas. 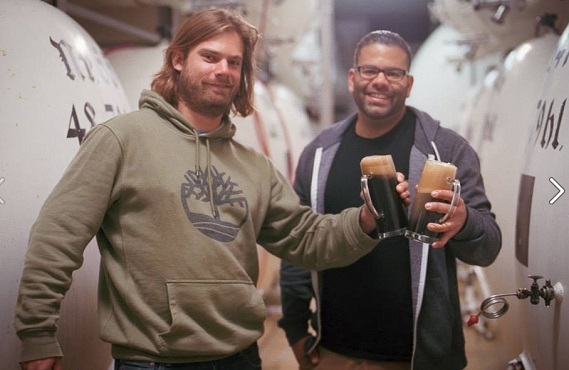 When you visit a brewery, will you be able to meet the brewer, not just the tour guide? Does the trip include info sessions, meetings with locals, opportunities for discussion and extended tastings? Will you be able to sample local food? Are festivals or local beer-related events included? Make the tour count. 5. Go for variety and diversity. Make sure the brewery tour you're considering includes a focus on new and up-and-coming craft brewing, women brewers and traditional family breweries. And make sure you'll have a chance to taste a variety of styles (not just the blond Helles that is so popular in central Bavaria). Upper Palatinate (Oberpfalz) A region where 75 mid-size and small breweries operate, including one founded in 1283, which has been operating without interruption for 731 years. Many breweries here are family-owned. Lower Bavaria (Niederbayern) Home to 71 breweries, including the oldest abbey brewery in the world and three breweries operated by barons. Central Franconia (Mittelfranken) 66 breweries with ancient beer cellers and leafy beer gardens make this region a beer mecca. One of the oldest breweries in Central Franconia dates to 1135. Lower Franconia (Unterfranken) 63 small and medium-size breweries turn out copper-toned Kellerbier and other regional specialties. New school craft brewers are turning heads with fruit beers, very un-German IPAs and special bocks. Upper Franconia (Oberfranken) Traditional styles that are very different than classic Munich beers make Upper Franconia a standout. This region is just a little smaller than the Minneapolis-St. Paul metro area, but it has a skull-flattening 163 breweries -- more per square mile than any other region in the world. For real variety, your tour should include at least three or four of these regions, and you should make sure one of them is Upper Franconia. Wanderlust and beer are a perfect pairing. And Bavaria remains the standout among beer destinations of the world -- hands down. Where else can you experience a vibrant new-school craft beer scene alongside an authentic, centuries-old native brewing culture in one country? Be savvy, make smart choices and your beer tour will be unforgettable. 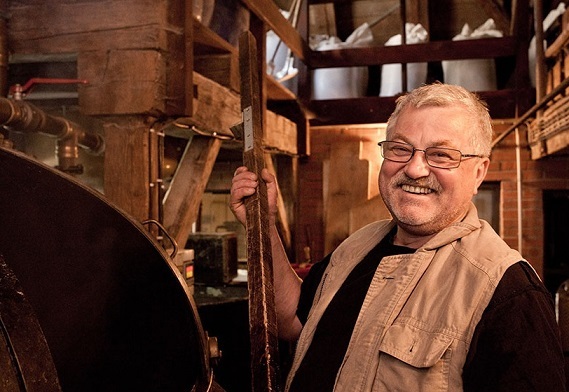 Tom Conrad lives in Philadelphia, writes about taste and travel and leads small-group tours to under-the-radar destinations in Europe. He has contributed to The Nation, The New York Times, CNN, Huffington Post, The Progressive and other media. This fall, he will lead a group of craft beer enthusiasts and Slow Food fans on a beer and brewery tour to Germany, offered to the public by the Pink Boots Society and sponsored by Sam Adams, Stone Brewing Company, Lagunitas and Sierra Nevada. Follow Tom on Pinterest, Facebook and Twitter @TreasEurTours. 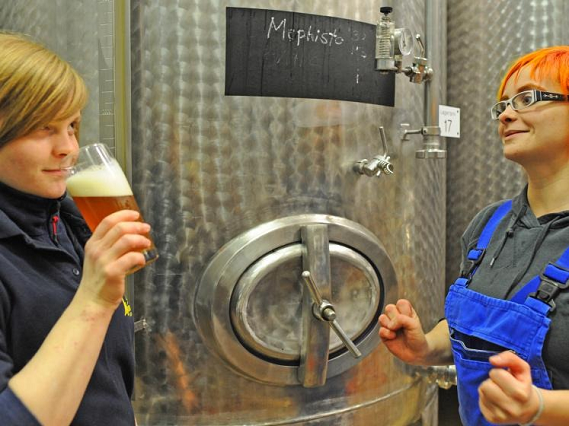 Delve deeper with this photo essay about Germany's beer-brewing nun Sister Doris. 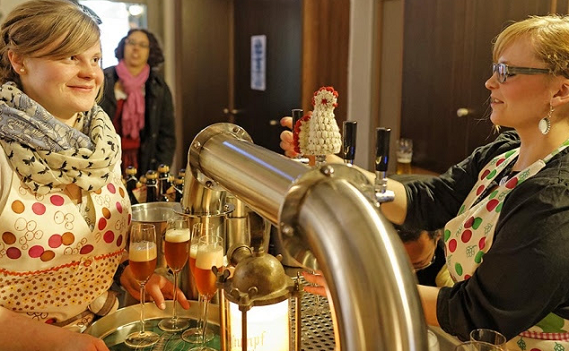 Read more about women brewers and craft beer in Germany. Photo credits: Crew Republic, Rainer Kastl/bierwandern; Peter von Felbert; Bierland Oberfranken e.V. ; Luber Family; LWL/Maria Tillmann, Schneider , Brauerei Kundmüller, Weisses Bräuhaus Dr. Schneider & Sohn.